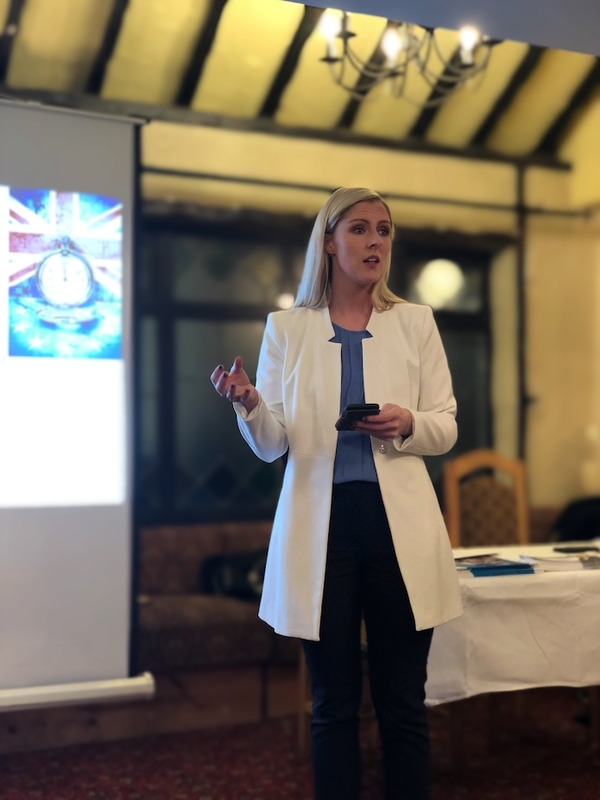 A well-attended series of Brexit Roadshows around the county organised by Mayo Fianna Fail TD, Lisa Chambers, culminated with a capacity audience turning out for the Castlebar sitting of the roadshow in the Ivy Tower Hotel recently. Speaking about the roadshow series, Deputy Chambers said: “I held six meetings and the feedback and engagement was fantastic. "People are concerned about Brexit and rightly so, particularly here in the West of Ireland. Over 80 per cent of our Agri food jobs are based outside of Dublin. The Agri food industry currently supports 250,000 jobs, many of these are in rural communities,” she continued. "My aim in organising these Brexit Roadshows was to provide the public with key information on Brexit and to engage in discussion with constituents on the matter. "Public meetings are in my opinion the best way to engage with citizens on an array of issues. I have held numerous public meetings in the past and I have always found them highly beneficial. "Listening to people’s concerns and questions on issues which vitally affect them is something I believe is fundamental in our role as public representatives. Sometimes it is easy to get lost in the political bubble of Leinster House but it’s important to remember that it’s the people, those who are experiencing the effect of policies on the ground, who are most deserving of being listened to and having their concerns addressed. "For example, one constituent asked me what the figures were in terms of the percentage of exports that leave Mayo, particularly with regard to our Agri food sector, with two of our biggest Agri food factories located in Ballyhaunis. "The striking reality is that 50 per cent of our beef exports go to the UK with 85% of our poultry exports also going to the UK. Even with an orderly Brexit, where there is a free trade agreement in place, it will still be a negative shock to our economy", concluded Deputy Chambers. Page generated in 0.1061 seconds.